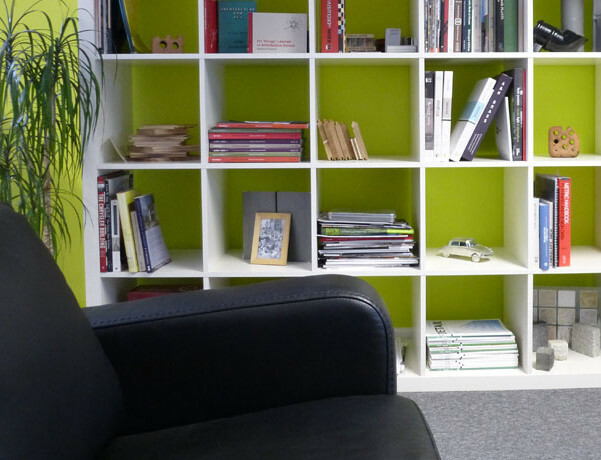 Atelier 3 is an innovative Award Winning RIBA and CIAT Chartered Architecture practice based in Cornwall. We understand our Clients are individual, each with their own vision and aspirations. Therefore, we do not limit our architecture and design approach to a particular style, type or scale of project. As Architects we provide a service that extends well beyond producing a set of drawings, we can bring value for money, imagination and peace of mind. We recommend an initial site visit to understand your needs and establish the brief. With an open mind, we will work with you, listening and interpreting your ideas and aspirations, whilst injecting some of our imagination and vision. We can offer full Architectural services as outlined in the RIBA Plan of Work or tailor our services to suit your individual project and needs. Your experience of working with us should be fulfilling and enjoyable. We work hard to bring solutions that are appropriate, affordable and timeless. We personally navigate you from the blank canvas to the completed project, whilst offering the flexibility of a tailored architectural service. As a team we will develop designs that interpret your ideas imaginatively and practically. At Atelier 3 we encourage our Clients to be fully involved in the design process by hosting creative workshop sessions, and through the production of iterative sketch schemes, appraisals and visualisations. We will produce and coordinate packages that are appropriate for your project, placing them in the best possible position to gain the statutory consents whilst monitoring and informing you throughout the Planning and Building Regulations application processes. We can coordinate and prepare technical information, specifications and tender packages that benchmark quality and affordability. We also offer a Contract Administration service. We are conveniently located in the North Cornwall town of Wadebridge where we can serve architectural projects in Devon and Cornwall. A Feasibility Study enables the review of your ideas and aspirations. We appraise these against the related Planning and Building Regulation issues. We investigate alternative options for the proposed works and as part of the study we can allow for design workshop sessions with you to review and explore alternative options. We actively encourage you to compile a project scrap book and share your ideas. Through this collaborative process and with our shared imagination we will develop and refine ideas to ensure that that your project will be inspiring, rewarding and cost effective. We prepare and co-ordinate planning submissions on your behalf and advise you of your legal requirements. We have experience of all types of planning applications including Outline, Full, Householder and specialist submissions such as Listed Building Consent. The Atelier 3 team endeavours to give your project the greatest possible chance of approval. We have developed a core network of specialist consultants that, along with the Atelier 3 team, can help to navigate your project through the national and local planning policy framework. The Building Regulations cover the functional requirements of a building, energy conservation and safeguards the health and safety of the people using them, both for access and convenience for people with disabilities. On approval of a Building Regulations submission via Building Control or Approved Inspector, you are legally entitled to commence construction work on your project. There may also be other legal requirements that you have to discharge as the owner/occupier or developer of a project before commencement and we can advise you of your responsibilities as part of this process. As part of a Building Regulations submission the services of specialists are usually required, such as Structural Engineers and Energy Assessors etc. Their information along with ours formulates the Building Regulation package. To increase cost certainty and quality we recommend additional Architectural drawn information, Schedules and a National Building Specification. The more information that a contractor has prior to commencing with your project offers you increased cost certainty during tendering and construction phases, reducing the potential risk of issues developing during the construction of your project. We will advise you if additional consultants and specialists are required. The Atelier 3 team can offer full contract administration or a tailored service. We can guide you through the construction phase by helping you select suitable contractors, obtain appropriate prices, monitor progress, quality and standards. We can liaise with the contractors and specialists on your behalf to ensure a successful completion.